Lots of manufacturers call their products "green," but are they? Here's our guide to the high-performance attributes that matter. Winthrop, by O Ecotextiles, is GOTS-compliant through the dyeing of the 55% organic linen and 45% organic cotton fabric. O Ecotextiles fabrics were one of BuildingGreen's Top-10 products of 2008. When BuildingGreen started publication in 1992, simply finding building products designed with environmental benefits in mind was a big challenge. We tackled that challenge in the late 1990s by developing GreenSpec, our guide to the best-of-the-best green building products, and throughout the 2000s we watched the explosion of manufacturing—and marketing—of “green” products. 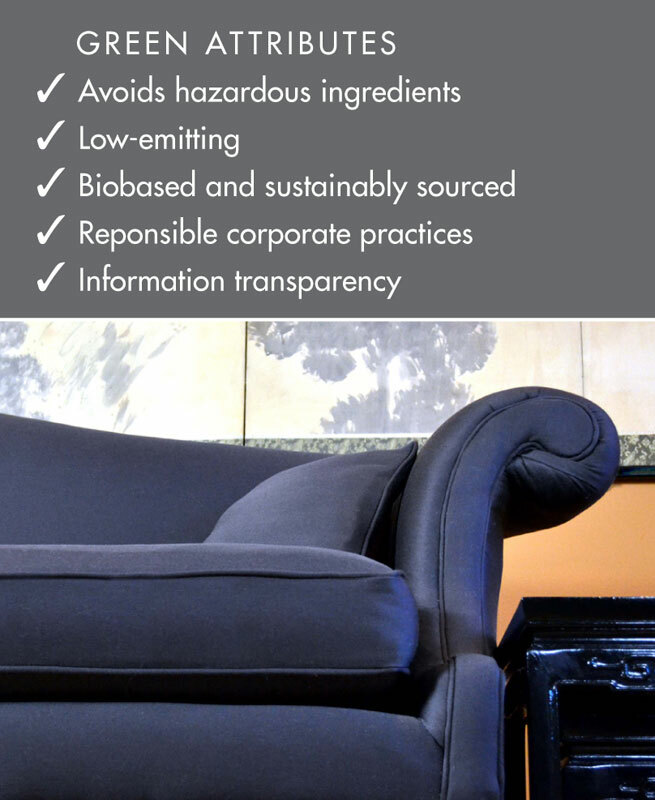 We’ve kept pace with environmental attributes of products in many ways. As we have evaluated thousands of products throughout this period, asking whether they are exceptional enough for listing in GreenSpec—and later for approval through our BuildingGreen Approved program on Designer Pages—we have had countless discussions about what makes a product green. Our touchstone has been something we call “Green Attributes”—a set of broad criteria and definitions, knit together with life-cycle thinking. Translated into the practice of design and construction, they help distinguish green from greenwash, evaluate the relative greenness of different product alternatives, and make appropriate product selection choices to ensure a high-performing, healthy building with the lowest possible impact. The explosion of green building has meant, among other things, a constantly rising bar for green products and materials along with more and more information on how the built environment affects human and ecological health. Enough has changed, in fact, that we’ve decided to update our readers on our understanding of just what makes a product green. We welcome input in this process of determining just what is green and how that determination plays out in specification and procurement.